With the midterm elections around the corner, Brett Kavanaugh’s contentious confirmation barely in the rear view mirror, and football season in full swing, it seemed like a good time to pick up the latest book from Mark Leibovich, chief national correspondent of The New York Times Magazine and acclaimed author of This Town (Penguin 2013), which offered a zestful, inside look at some of the arrestingly vain political personalities that make Washington tick. 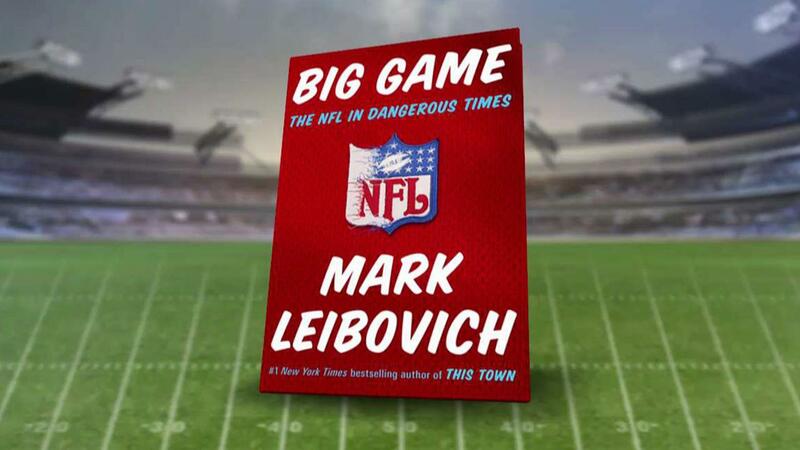 In Big Game: The NFL in Dangerous Times, Leibovich takes his talents to the gridiron, attending owner’s meetings, super bowls, draft nights, Hall of Fame events, and other football-related gatherings over a four year period from mid-2014 to January 2018. Big Game spawned from a profile piece Leibovich wrote on New England Patriots quarterback Tom Brady in January 2015, just before Brady won the fourth of his five Super Bowl rings. Leibovich, transparently, is a Patriots fan (having grown up in the suburbs of Boston) and Big Game devotes much of its attention to Leibovich’s interactions with Brady, Patriots owner Robert Kraft, and head coach coach Bill Belichick. Leibovich explores Brady’s relationship with his personal lifestyle guru, Alex Guerrero, and despite Leibovich’s admittedly biased fan attraction to Brady, his interviews with Brady’s parents and Brady’s willingness to, for whatever reason, allow Leibovich into his life are revelatory. If Brady is representative of something larger than himself, as, perhaps, the greatest player to ever play American football, and what it takes to become that, Leibovich’s exposés on Brady, both in Big Game and elsewhere, can be thought of as fascinating anthropological diggings. 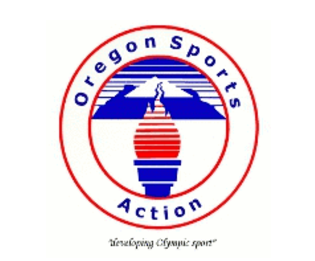 Brady, however, isn’t the only subject of Big Game. In fact, most of the book is taken up with NFL owners. Leibovich has a knack for securing interviews with figures otherwise reticent to give them, and the owners, players and executives seem to appreciate Leibovich’s genuine interest in whatever they want to talk about (even if Leibovich chides them many months later in his book!). Of course, Leibovich probably wouldn’t write a book about not being able to interview these people, but the tone throughout Big Game is convivial and more than once I found myself laughing out loud while reading (as many reviewers similarly noted while reading This Town). Likewise, Leibovich’s political talents are suited here. One realizes fairly quickly the NFL owners Leibovich mingles with are, at their base, politicians. Old, white, male, billionaire politicians (for the most part). Leibovich has no trouble poking fun at them, while simultaneously luring them in to confide in him in unexpected ways. Though not one owner comes off as even remotely relatable to the millions of everyday citizens who obsessively watch the NFL (filtering their hard earned money up the food chain to these megalomaniacs), Leibovich somehow turns them into beings that are human (even while the owners continually attempt to outdo each other for numero uno prima donna status). While Jones and Leibovich are beyond inebriated at this point (around 4pm), distilling the aura of this arrogant, billionaire petroleum tycoon into an insecure youth who masturbates into shoes is no small feat (no pun intended). To anyone who has ever grimaced at Jones’ bigger than life personality, the tale is blessedly welcome. Alongside the infatuation with Brady—and the owners in general—Leibovich’s main points of investigation revolve around 1) Roger Goodell, the oft-maligned NFL commissioner, and 2) the recent unavoidable intersections of the NFL and politics, namely the NFL’s full-bore attempt to silence voices around the permanent brain damage inflicted on NFL players, and the NFL’s mafia-like attitude toward player protests that began with Colin Kaepernick and have carried on into the presidency of Donald Trump. In addition, if somewhat tangentially, Leibovich also writes warmly about his father (who passed away just after Super Bowl LI), his younger brother (who passed away unexpectedly in a car crash), an artist friend who takes him to a Patriots game, the love he receives at ice cold Lambeau field, and the plethora of reporters who make a bountiful living finding nugget after nugget of NFL transactional information, feeding the tweet-boxes of passionate fantasy football players across the globe. The bulk of the book, however, revolves around the higher-ups. Goodell, the highest of the higher-ups, is painted mainly as a yes-man for the owners, but a tough-guy yes-man who is willing to stand up to certain owners (even Jerry Jones) when it’s politically solvent to do so for the other owners. Goodell’s $40 million salary is shocking even to Leibovich, and he digs deep into how this inflated figure came about and why the owners have continually supported Goodell despite the unabashed negative attention he receives from the massive NFL fan base. (Spoiler: Goodell makes them all richer!) Goodell’s caricature as someone who constantly talks about how much he works out, and Leibovich’s descriptions of Goodell’s abnormally engorged pectoral muscles, provide more humorous fodder, while Leibovich’s discussions with Goodell’s wife are entertaining and revealing. While the subtitle of the book is somewhat misleading — it led me to think the entire focus of the book would be on the abundance of CTE (Chronic Traumatic Encephalopathy: a degenerative brain disease caused by repetitive head trauma) found in former NFL players, often ones that suffered ignominious fates (CTE can only be diagnosed posthumously) — Leibovich does make it an on-again off-again thread that offsets nicely the persistent cartoon-like humor Leibovich finds in the personalities of the billionaires. The depictions of former players he meets while attending Hall of Fame events are unnerving and shocking. Likewise, when pushed on the subject, it’s clear the NFL talking heads are trained to highlight how much safer the game has become, and how much the NFL is currently doing, rather than admit the blatantly obvious connection, at this point, between CTE and a life devoted to playing in the NFL. Likewise, Leibovich points to player interviews being cut short when they are speaking on the matter, and a blanket gag order on the higher ups to ever acknowledge the 2015 movie Concussion, starring Will Smith! Essentially, they never took Trump’s inquiries seriously because these actual billionaires, many of them self-made, could see past the con-man façade that Trump emanates. The commissioner, none of the owners, felt he could deliver. Leibovich’s insights into Trump’s rise to power and his dealings with the NFL owners are insightful and show another side of the unremitting vanity Trump suffers from. Trump, quite simply, has hammered the NFL since taking office, largely due to the NFL’s unwillingness to ever accept him. Leibovich delineates how Trump, fascinatingly, has managed to turn up a whole new slew of NFL detractors: from the original liberal-minded thinkers bemoaning the savage, war-like aspects of the game alongside the irreversible health effects inflicted on its players, to these new flag-waving conservatives crying out against unpatriotic athletes who should keep their mouths shut (black athletes, mind you) and just play the game. Leibovich’s years of political writing clearly comes into play here, and while the book is meant to be entertaining more than anything, I found the political and social commentary as integral as the humor. It’s impossible to look past the multi-billion dollar industry the NFL currently is, and the structure of that industry, the persons and personalities that benefit the most, the inevitable oppression and racial divides the NFL brings to light, are impossible to ignore. It is hard to justify watching football after reading Leibovich’s book, in fact, but of course we, as a nation, will continue to do so. And that, perhaps, is the most interesting nugget of all.